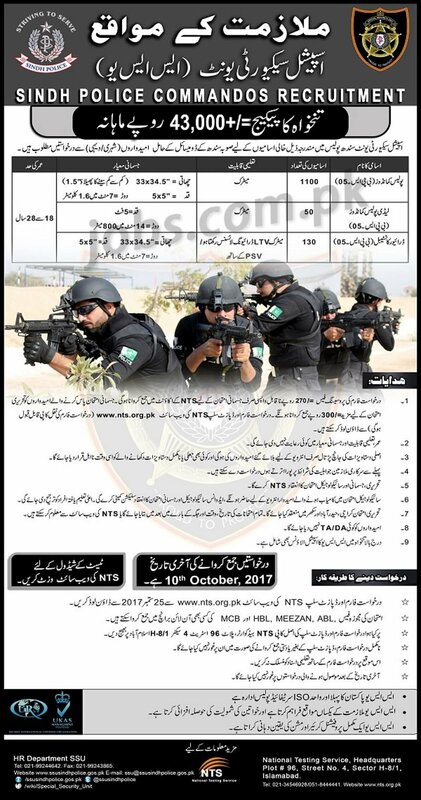 Sindh Police Special Security Unit (SSU) Jobs 2017: The Police department in Sindh is inviting applications from eligible candidates for 1280+ Police Commandos, Lady Police Commandos and Driver Constables Posts. 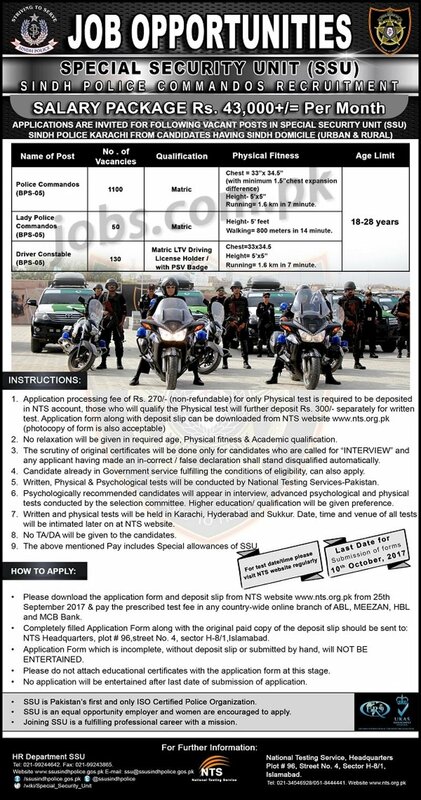 NTS is conducting recruitment test for these posts and you can download the NTS application form and deposit slip from NTS website or th is page below – Required qualification from a recognized institution, relevant work experience and age limit requirement are as following. Eligible candidates are encouraged to apply to the post in prescribed manner. Incomplete, late, hand written submissions/applications will not be entertained. Only shortlisted candidates will be called for written test/interview. See the notification below to see vacancies/positions available, eligibility criteria and other requirements. 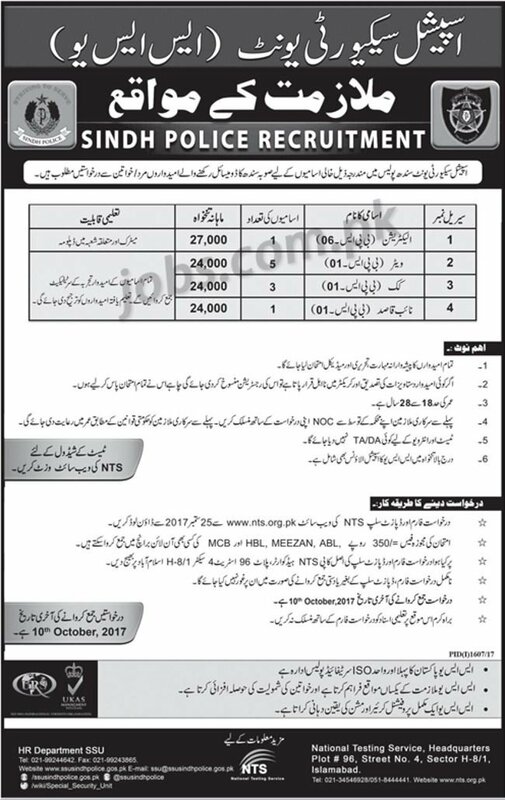 Eligible candidates must submit applications on or before 10th October 2017.